A merchant ship has rescued scores of migrants who were on a sinking boat some 60 miles off Libya but NGOs have raised fears that they may now be returned to Libya. The alarm about the boat was raised on Sunday morning. NGOs said that about 100 people were on board but no one had assisted them for hours. Their concern came just 24 hours after an estimated 170 people died or went missing in two shipwrecks in the Mediterranean Sea. Tamino Bohn, a spokesman for NGO Alarm Phone told Times of Malta on Sunday that Rome rescue centre had referred to Malta, while Malta had asked Libya to help, but Tripoli was not responding. On Monday morning, however, the NGO said it had been told by the Italian coastguard that the migrants had been picked up by a merchant ship. It added, however, that the disembarkation point appeared to be Misurata, Libya. This would violate international law and send the people back to the hell of Libya, the NGO said. 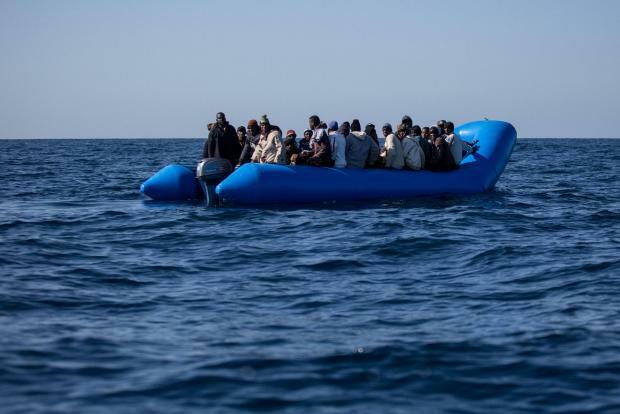 In a separate statement, the Italian coastguard explained that the Libyan coastguard rescued 140 from a boat in a separate incident earlier on Sunday. When it was contacted about the sinking boat, the Libyan coastguard could not immediately dispatch units since they were engaged in the first rescue. The migrants in the sinking boat were then picked up by a cargo ship registered in Sierra Leone. The ship will take the migrants to a harbour as directed by the Libyan authorities. Earlier this month, during a visit by the Libyan prime minister to Malta, Prime Minister Joseph Muscat said the Libyan coastguard should be allowed to do its job. “Once the EU is helping Libya finance, set up and train its coast guard, and this coast guard is finally functioning, we need to allow the Libyan coast guard to do its job. It’s not a race of who comes first when it comes to territorial waters… They should be allowed to coordinate a rescue. I don’t think it’s on that organisations think that they can decide rules for themselves," Dr Muscat said.